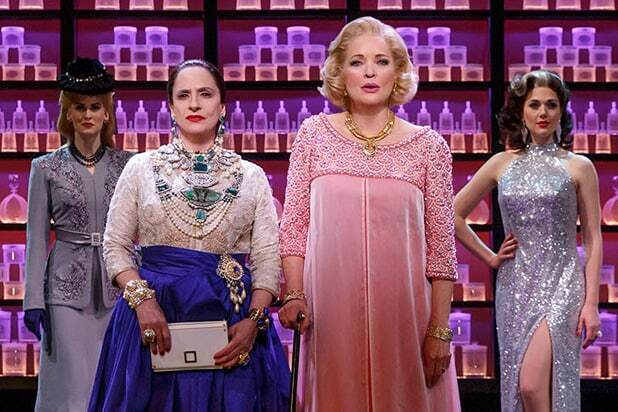 Broadway’s Doug Wright, Scott Frankel, and Michael Korie have given themselves a much tougher task with their new feud musical, “War Paint,” which opened Thursday at the Nederlander Theatre. Cosmetics titans Helena Rubinstein and Elizabeth Arden set up shops near each other in Manhattan during the Depression, but never met during their long reign over the world of lipstick, facials, and nail polish. It’s easy to develop conflict when Bette Davis is kicking Joan Crawford around on the floor of a soundstage in Hollywood. What the men behind “War Paint” rely on instead is Patti LuPone as the imperious Rubinstein duking it out vocally with Christine Ebersole as the polished Arden, and they deliver. These ladies who wear hats but do much more than lunch are knockouts. How rare it is to see two great female performances in one season, much less one musical. The “War Paint” book is also a marvel. Taking a page from the classic drama “Mary Stuart,” Wright fabricates a scene where Arden and Rubinstein meet, although his writing owes less to Friedrich Schiller than it does Clare Booth Luce. While there are glimmers here of “The Women,” as well as “The Devil Wears Prada,” “War Paint” succeeds in finding its own thoughtful, often amusing, voice as it travels the shaky ground upon which women wield power. Not forgotten are the two talented men behind the women, Arden’s estranged husband and Rubinstein’s estranged gay assistant. John Dossett and Douglas Sills, respectively, know how to take a back seat, even though the employees they play sometimes don’t. Director Michael Greif not only juggles with aplomb these four lead characters and a featured one, the upstart Charles Revson (Erik Liberman being delightfully slimy) but the Depression, World War II, the advent of TV, and the counterculture. It’s quite a story, and one well told. “War Paint” is never better than when it puts its two heroines in the same space and mind set. Also exquisite is “Pink,” which is Arden’s “Is that all there is?” moment. These songwriters are good at the reflective; they know how to get under a character’s skin and make us feel her pain, as well as her fierce determination. If only they could be a little brassier now and then. When it comes to crafting standard Broadway fare, like the patter song and the big dance-driven showstopper, Frankel and Korie are merely workmanlike. Fortunately, the sophisticated orchestrations by Bruce Coughlin compensate and do much to evoke the changes in musical styles, from the 1930s to the ’60s. 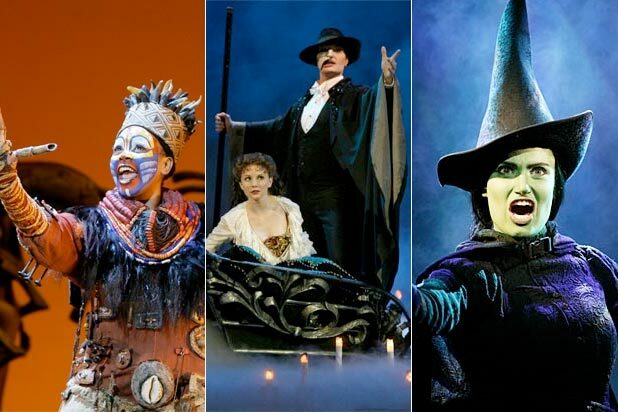 David Korins’ set and Catherine Zuber’s costumes are flamboyantly colorful without every slipping into parody. Kudos also to Brian Ronan; his sound design eschews those ugly around-the-jaw mics and, better yet, he makes the orchestra sound live, not pumped in from another theater. When Frankel and Korie are good, they’re great. When the needed pizzazz escapes them, there’s always a Wright zinger waiting in the wings when the actors stop singing. LuPone and Ebersole know precisely how to throw every dagger he hands them, and still remain standing at the end.